Reading an inspirational story for teenagers can help you find hope in an otherwise bleak situation. Don't think you are alone when life seems to be at its worst. Many teenagers have been in your shoes and have been able to rise above the challenges to live a life of security, peace, and happiness. 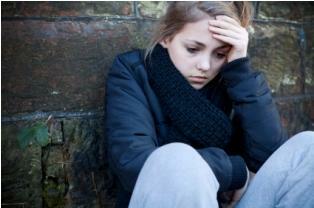 The following inspirational stories for troubled teens are about teenagers from all walks of life. You may find that you can relate with some of the stories, or you may realize that even though these teens were at their lowest, they were still able to make it out of the trenches and survive. Danielle grew up in a household where her parents were heavy drug users and alcoholics. Strangers came in and out of the house at all hours of the night. One night, a man came into Danielle's room and raped her. She was 13. She told her parents, who dismissed it, saying that she must have just had a nightmare. Danielle decided to run away from home and become a member of a popular gang in the community. She became very close to these people and admired them. They weren't the best role models for her, but she figured they cared more about her than her own parents. She felt that she'd better do what they wanted, or they might turn their backs on her too. She began stealing, assaulting people, and using drugs and alcohol. Shortly after, she ended up spending five years in a juvenile detention center for her crimes. While there, she started therapy and found a religion that she found comfort in. She learned why she joined the gang and how her life spiraled out of control. By the time her sentence was up, she was a public speaker and a peer mentor to some of the younger detainees. After her release, she attended college and became a child psychologist. When Amanda was seven years old, her father left her mother. This devastated her mother, and she began drinking heavily. One night, her mother went to jail for several DUIs and other charges. The court decided she was an unfit mother, and since there was no other family available to take care of Amanda, she went into the foster care system. At first, it was great, because she finally was able to be a part of a family that really cared about her, or so she thought. A couple weeks after she moved in, her foster parents decided that it wasn't going to work, so Amanda was sent to another home. The second home wasn't as nice as the first one, but they took care of her better than her mother did. However, after three weeks, the agency determined that the foster home was not appropriate for foster care and Amanda went somewhere else. At her third foster home, she once again found a loving family. She stayed for four months and she finally thought she had found her home - that is until the family decided not to participate in foster care any longer. By the sixth home, Amanda convinced herself that no one wanted her in this world. To alleviate those feelings, she started to dress in a way that would gain her a lot of attention and she would accept whatever affection she could get. This meant that she was highly promiscuous and put herself at risk for STDs and pregnancy. Actually, she said that she didn't care if she got pregnant because she wouldn't mind having a little baby to hold, cuddle, and love. About a year later, Amanda did become pregnant, and the father didn't want anything to do with the baby. She was 15 and expecting a child. Since her foster parents weren't equipped to care for a baby, she was once again sent to another foster home. Not only did she bounce from home to home, her baby ended up having the same fate - that is until she finally found the one family that accepted her for who she was. Because of this family's commitment, care, and love for Amanda, she was able to finish high school and attend college. It wasn't easy. She had to work two jobs, pay for childcare, and do her coursework, while taking care of her child. All the hard work paid off. She ended up graduating with a business degree and is the childcare director of a day care center. Jessica came from a loving, affluent home. The only problem was that Jessica never felt good enough. Her parents wanted her to be the best at everything, and they wanted her to consider them her best friends. When Jessica reached adolescence, she decided that she could not take her parent's demands any longer and did everything she could to go against her parents' wishes, which included joining the wrong crowd, drinking, using drugs, and committing crimes. Her parents had no idea what had gotten into her and feared for her future. Jessica didn't care that she was headed down a bleak path. Her parents signed her up for a wilderness camp. The wilderness camp involved vigorous activities and many scare straight tactics. Jessica was reminded everyday that if she didn't shape up, she would end up suffering consequences much worse in jail or prison. Once the camp was over, Jessica went home as a completely different and new individual. Her parents understand where they went wrong through family counseling, and they were as happy to have their daughter back as Jessica was to be back. Inspire troubled teens with inspirational stories. Hearing or reading such stories can help them see there is hope, even during difficult times.